After receiving several e-mails requesting to check out That Poppy, I sat down and went through the 70+ videos on her YouTube channel. The experience was, to say the least, perplexing. Spending more than a few minutes watching this girl speaking in a childish and robotic tone, repeating specific words and phrases, quickly leads to thoughts such as: “What am I doing with my life?” and “I really should be doing something else right now”. But That Poppy is not a random YouTube personality who is simply being “random”. She’s an actual musical artist signed to Island Records (owned by Universal). Her singles Lowlife and Money were heavily promoted by the label and obtained significant radio and TV airplay. Many of these shorts videos appear to satirize YouTube stars who babble about inane things, beg for “likes, comments, and subscribers” and use their fame to sell their products. But, as the videos progress, themes associated with Monarch mind control and the satanic occult elite begin surfacing. Through subtle clues peppered throughout her videos, we see That Poppy being introduced to the dark side of the industry … and humanity being sucked out of her. Her robotic voice and the constant repeating of specific keywords are reminiscent of neuro-linguistic programming (NLP) practices, causing YouTube viewers to instinctively ask “Am I being brainwashed by That Poppy?”. 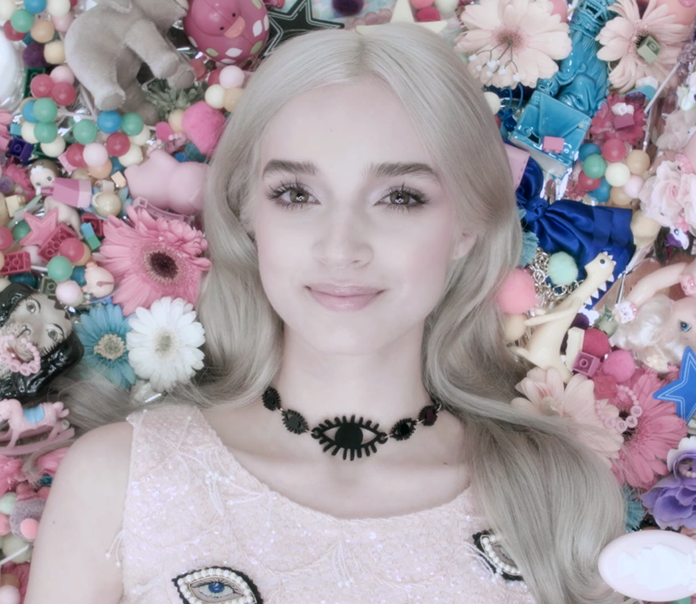 What makes these video even more disturbing is that they are getting darker as That Poppy – the musical artist – is going deeper into the industry. Let’s look at the most important themes of the video – which happen to be the entertainment industry’s favorite themes. Of course, I will not go through all 70 videos because that would be INSANE … Kind of like making a 30-minute video of a girl playing a tiny xylophone.